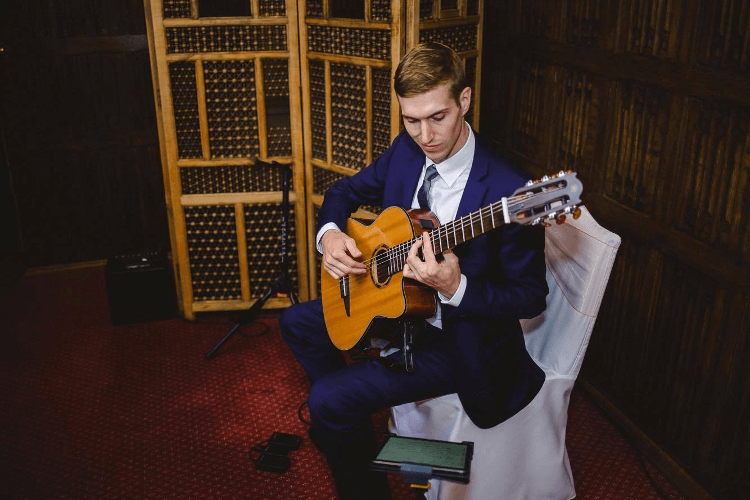 Ed Pez is an award winning wedding guitarist who performs regularly at other events such as dinner parties, restaurants and corporate/private functions. 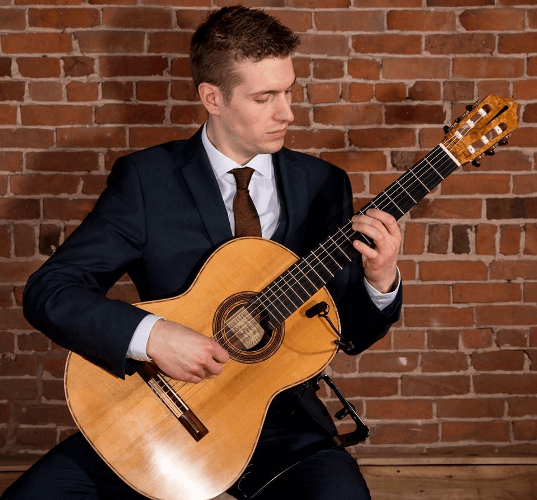 Ed has been performing as a wedding guitarist and events guitarist for over 10 years and graduated from one of the best music conservatoires in the country. He plays a range of styles including Classical, Pop/Rock, Spanish and Jazz. He provides a tailored service to make sure you select the right wedding music to suit your occasion, accommodating any requests you might have so that your special day is everything you want it to be – perfect. 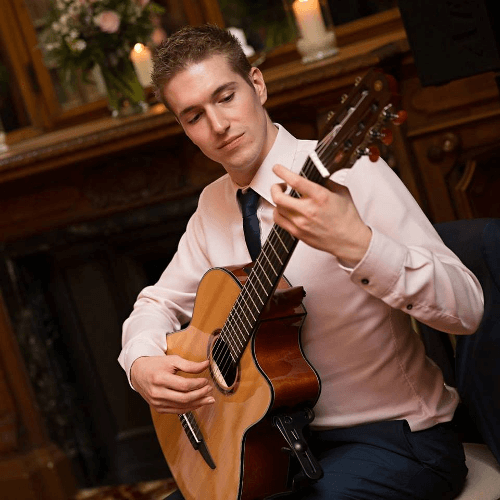 Highly trained classical guitarist suitable for weddings, private parties and corporate functions. Extensive repertoire, clients are able to have input into the music they would like. For wedding clients, requests can be accommodated for no extra charge. "Ed was absolutely fantastic at our wedding, the music was perfect, his talent extraordinary! Highly recommended wedding guitarist." "You were amazing! You gave the drinks reception exactly the atmosphere we wanted and it was absolutely perfect. We’ll always remember the contribution you made to our day."